'these guys are hot ! ' 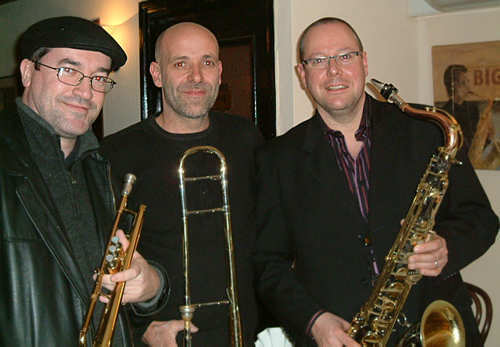 This top freelance horn section have worked independently and together with many line-ups both locally including, 'The Hurliman Brothers', 'JP & The Sidemen', 'Easy Cheese', 'Hullabaloo', 'Straight from The Head', 'Tribe', 'Feelgood Factor', 'Hard Lines', 'The Brothers Grimm' and more widely with 'The Drifters', 'The Foundations', 'Gene Pitney', 'The Four Tops', 'Geoff Moore (son of Roger! 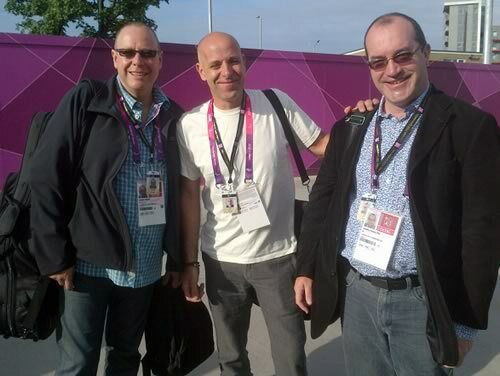 )', 'Heart & Soul' (three Diva's), 'Jamie Scott', etc. 'Positive phrasing' or raw energy channelled through a brass pipe ? full-on trombone solos. From the raunchy tenor to the sweet melancholic soprano - top sax every time. 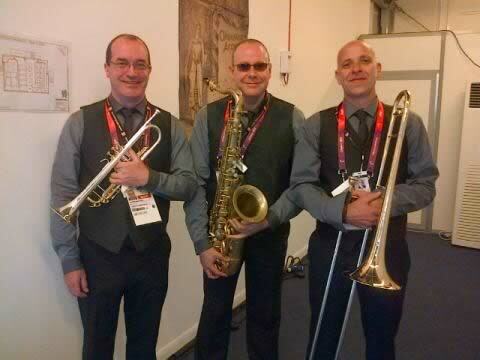 The Raging Horns backstage prior to their Paralympic Games opening ceremony with Lizzie Emeh and Heart & Soul. 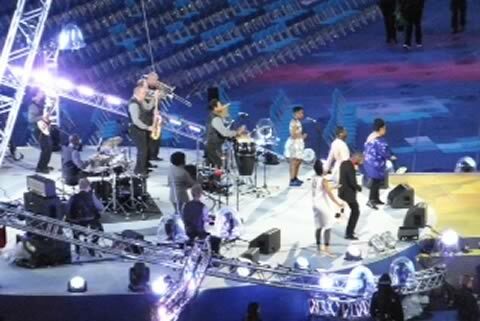 The Raging Horns performing at the Paralympic Games opening ceremony with Lizzie Emeh and Heart & Soul.